What is your definition of an intermediate writer in regards to the writers dreamkit? Should I have started with the dreamkit? I've written three screenplays, with numerous rewrites, not exactly what you call professional. What are the real differences between the two (beyond the standard reply of "less steps")? Both the Writer's DreamKit and Dramatica Pro include the Dramatica Writing System. 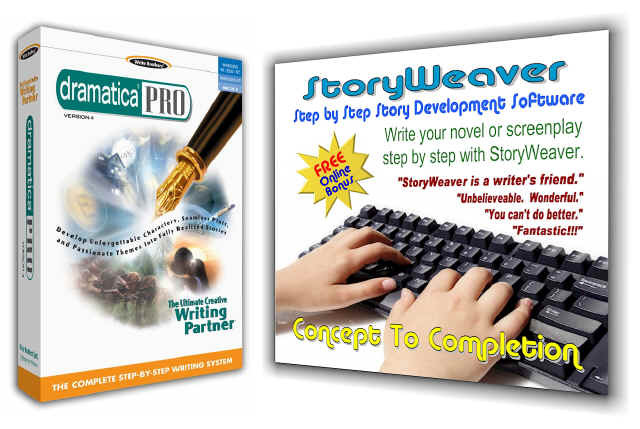 This system is an interactive program consisting of a book, worksheets, and a special path in the software which is designed for beginning writers, or writers beginning with Dramatica. It is set up to carry an author from concept to completion of a finished story treatment, including scene order and scene content, or chapter order and chapter content. So, with either DreamKit or Pro, you have the same support in this area. Also, both the WDK and DPRO have the same interactive Story Engine that helps you make decisions about your story's dramatic structure. But, whereas WDK explores the basic choices an author will want to make in any story, DPRO gets into much more detail, looking more to nuance and shading, rather than just exploring the primary colors, as it were. So, either product is ideal for beginning and intermediate writers because of the Writing System. Once the basic concepts of Dramatica have become familiar, however, Dramatica Pro offers much more sophistication and many more dramatic choices for authors who wish to follow their own paths in story creation using Dramatica's Story Engine directly.